CFA was recognized on Thursday, February 16, 2017 at the annual Nevada AGC SIR Awards Dinner as Design Professional of the Year. As a longstanding AGC member, we are proud to hold this honor. 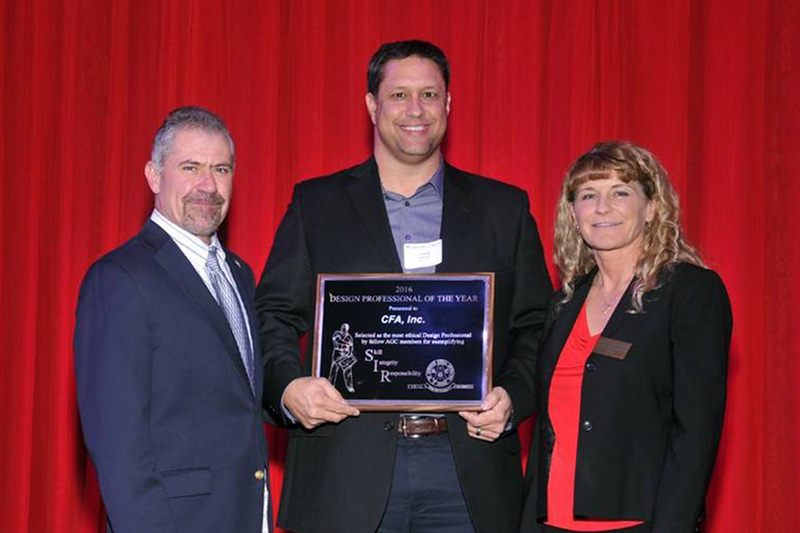 Colleagues were also recognized at the Awards: CORE Construction received the award for Contractor of the Year, PAR Electrical Contractors, Inc. was chosen as Subcontractor of the Year and Western Nevada Supply was acknowledged as Supplier of the Year. Congratulations to the award recipients and thank you to the Nevada AGC for your support!